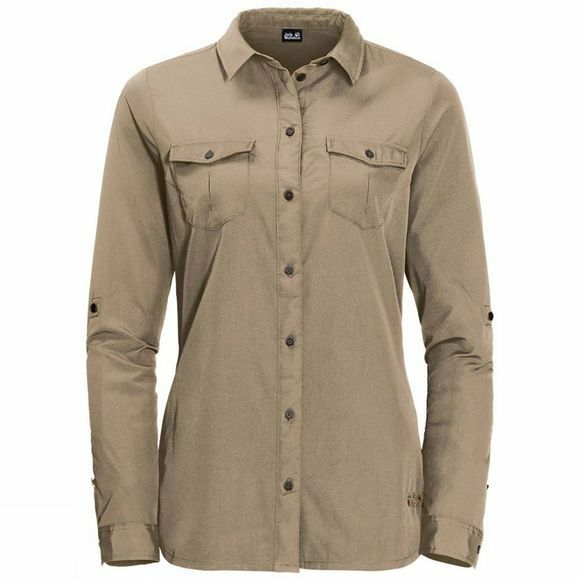 Whether you're exploring desert or on safari–when the sun is burning down, the long sleeved, loose fitting Womens Atacama Roll-Up Shirt from Jack Wolfskin protects you from harmful UV rays. 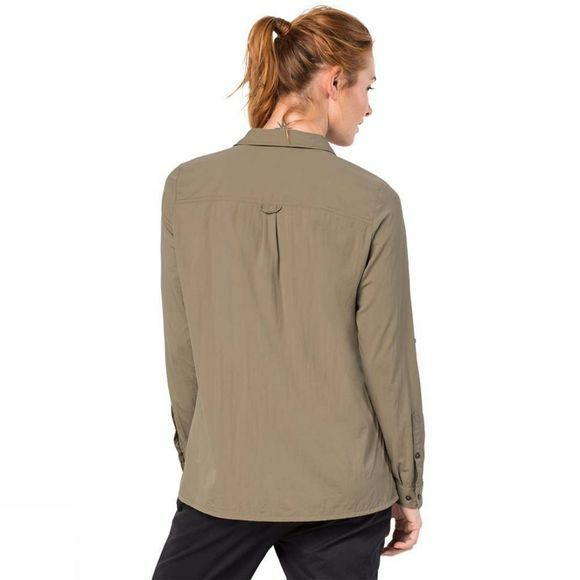 The lightweight fabric provides UPF 50+ sun protection and feels pleasant next to the skin in hot weather and if it gets too hot, simply roll up the sleeves and fasten them in place with the little buttons. The fabric's stay-fresh properties are another big advantage when you're travelling. It benefits from a special odour resistant treatment.